The goal of virtually every Wales student is to attend university. Consequently, it is one of the College’s highest priorities to help our students with their university placement requirements. 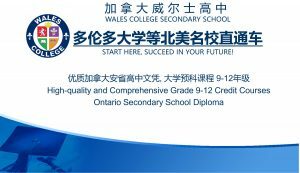 Recognized as the only SAT/ACT and IELTS test centre in Toronto, Wales College Secondary School has been helping students aiming to top Universities in North America achieve their goals for 20 years. 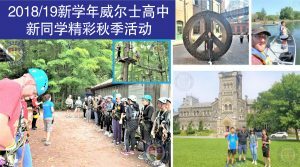 With the highest admission rate to top Universities in Canada, historically 100% of our graduates got accepted into University of Toronto and other top-tier universities. Historically 100% of our graduates have been accepted to the university or college of their choice every year. Many have been awarded with scholarships. Why? With our teachers, studying is no longer something students’ do on their own. Our teachers are always there to help and support students. They make learning an absolutely enjoyable journey. They care deeply about our students’ learning needs; have a true passion for teaching; are equipped with excellent classroom resources and technology; and are offered consistent professional development and career advancement opportunities. Without small class sizes, any great teacher will have limitations in providing students with extra help and attention. Small class sizes are a great feature of Wales, offering students exactly what they need to thrive and succeed. 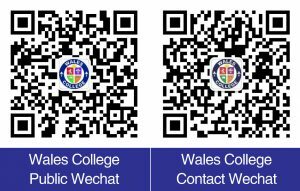 Wales is a leader in the area of student assessment and evaluation, providing a skills development program that is second to none. Our all-year, five-semester schedule, with 5 possible enrollment dates each year, offers the most flexible and personalized system available anywhere. Time and again, this unparalleled schedule offers our senior students an opportunity to plan their post-secondary education in the best possible manner. University Application is a complex process. It requires substantial knowledge, experience, and sometimes, a personal recommendation. We provide all of this expertise and personalized service to our students to ensure they succeed.